Smart TVs are the latest and greatest evolution of the humble TV and deliver so much more than the traditional home visual entertainment devices of yesterday. So if you’re in the market for the best smart TV, where do you get started and what should you be looking for to find the best box and system for your budget? In this guide, we’ve taken a look at the very best smart TV systems, smart TV platforms, and peripheral smart entertainment devices to help you find the best smart television for your needs. Getting Started with Smart TVs – What is a Smart TV? The humble TV has always held an important role in the home, but the latest smart TVs represent the most recent evolution in smart home entertainment viewing and fundamentally transform how we watch shows and movies, spend our downtime, and increasingly, interact with our homes. But what exactly is it that makes a smart TV ‘smart’? Probably the fundamental entry criteria for any smart TV system is the ability for the device to connect to the internet and subsequently allowing the streaming of content from services such as Netflix and Amazon. Many of the best smart TV systems build this functionality into the platform directly, allowing ease of access to the top streaming services directly through the TV’s user interface – simply choose what you want to watch and then hit play. The latest generations of smart TV take the smart functionality further than this though, allowing you to control the box directly from a connected smart home controller or voice control system such as Amazon’s Alexa enabled family of devices or the Google Home devices. Even beyond this though, the best smart TV systems are now designed to actually integrate as a core part of your wider smart home ecosystem, providing the ability to work as a smart controller and hub in their own right. What this means in practice, is that the best smart TVs are quickly becoming not only the star of the show when it comes to the smart entertainment solutions in your home, but are increasingly a central part of your smart home as a whole, allowing you to connect your smart set to everything from your phone to your lighting for a fully integrated and coordinated experience. Buying a smart TV is serious business and there’s a lot to consider on the practical front from the size and brand of the device you choose through to technological considerations such as the resolution and display types. There are a couple of display technologies you’re going to want to be thinking about when finding a smart TV for your home and one of the first is choosing whether to go for the OLED or LCD/LED variants of display. There are a few differences between the two types of tech here and it can help to know what makes one stand out from the other. OLED utilizes a system in which every pixel you see is effectively a separate light source. The major advantage here is that your smart TV doesn’t require a backlight which in turn means it’s going to be considerably slimmer than more conventional models. On top of this, OLED smart TVs tend to have a considerable advantage when it comes to highlighting both colors and blacks on the screen – this difference can be really noticeable once you’ve experienced it for the first time. 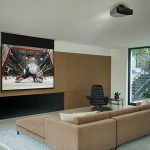 Conventional LED screens are the natural choice of screen type if you’re working to a slightly tighter budget and are still going to deliver a ton of bang for your buck, providing everything from a great color production to a super-crisp picture – perfect for immersive movies or box set binge nights. As mentioned, while the quality of the picture and overall experience provided by an LED are still going to be awesome, it’s important to remember that the TV is likely to be thicker than the slimline OLED equivalent, so if this is an issue, consider making the step up. The best smart TV systems you’re going to come across are either going to be based around a generic platform (like Android TV) or will be specifically tied to a manufacturer (as is the case with Samsung and LG sets). Many of the top-tier smart TV manufacturers have opted to create their own platforms for running on their devices (there are a couple of exceptions to this rule – see Generic Smart TV Platforms below). As you’d probably expect in these instances, the result is a smart TV platform which is highly tailored to the device and as such, tends to benefit from an all-round smoother and sometimes more polished finish. 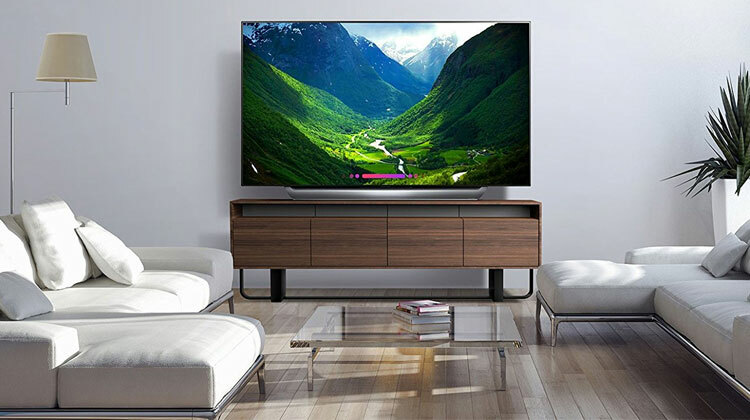 For brands such as Samsung (and the SmartThings platform), the added advantage of proprietary on-board technology means the ability to effortlessly connect with native smart devices and platforms around the home, even controlling them directly from the TV. Samsung opted for a proprietary smart TV platform on their devices and the result of this is an engine which is both highly intuitive to use and effective at what it does. The latest Samsung smart TVs are now also designed to offer compatibility with the company’s SmartThings platform which effectively means your smart TV is now also a smart hub, allowing you to monitor and control other compatible and connected SmartThings devices around your home. Simplicity sits at the center of Panasonic’s smart TV platform and the latest generation hasn’t changed considerably since the first version was launched. The simple offering of My Home Screen means that the platform is highly responsive and doesn’t suffer from the some of the glitches and crashes experienced by more process hungry smart platforms resulting in a user experience which is great for serving up what you want to watch without hassle. The webOS platform utilized by LG in their smart TVs is widely viewed as one of, if not the best smart TV platform. Often held up as the benchmark platform that other manufacturers attempt to copy, webOS provides a super-simple layout which offers a high degree of customization, allowing you to find exactly what you want to watch with ease. On top of this, the LG smart TV offering now takes smart functionality further, with the platform allowing enhanced voice control for accessing features on the device as well as searching the listings for content based on your request. There are a couple of generic smart TV platforms out there, but by far the most common you’re likely to encounter is Android TV, the system favored by brands such as Sony and Phillips (at least for their European devices). The Android smart TV platform is the engine of choice for manufacturers such as Sony and with good reason. Offering a high level of compatibility and connectivity, Android TV is a natural matching for Sony who have developed (and customized) it a lot since first adopting the platform. 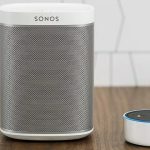 As you’d expect from Android, you’re going to get excellent compatibility with almost all things Google and this manifests itself most obviously in the ability to utilize Chromecast as well as Google Assistant for voice control, the latter allowing you to ask the system to provide information and even to search for shows or movies by actor. Finding the best smart TV system can feel like a daunting process with so many devices out there, each offering a seemingly endless variety of features. 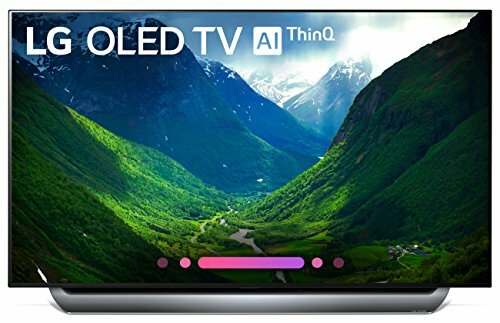 We’ve taken the legwork out of trawling the smart TV landscape to bring you the very best smart OLED and LCD smart TVs for bringing your visual home entertainment experience into the era of the interconnected smart home. OLED displays are at the cutting edge when it comes to smart TV technology and deliver deep blacks alongside vibrant colors for an immersive viewing experience which is unparalleled. You’re going to typically pay slightly more for an OLED than you will for the more traditional LCD display based systems, but if you do go that extra mile, you’re truly getting the best visual offering paired up with a screen which will often be so thin, you’ll barely see it from the side. The LG C8 is quite simply one of the best OLED smart TVs currently out there, delivering everything from a stylish design and impressive set of features, through to one of the very best smart platforms on the market. As well as an impressive outward appearance, the C8 boasts a ton of tech improvements on earlier models including an Alpha 9 processor all of which add up to a smart TV system that sets the benchmark. Right off the bat, it’s clear that the ultra-thin profile of the OLED panel on this smart TV has been put to good use in delivering a device that looks (almost) as good switched off in your living room as it does switched on. With a form factor which is quite simply very thin (just a few millimeters thick at top), the C8 tapers to a wider point at the base of the device and it’s here that you’ll find the speakers which are designed to project sound towards the viewer for maximum effect. LG utilizes the WebOS platform for its smart TVs and for good reason as this highly intuitive smart platform has a reputation for being one of the best in the business, delivering a highly responsive solution that’s largely unchanged from earlier iterations. remains largely unchanged from previous years – but, if it ain’t broke why fix it? That said, you can expect the same intuitive and highly responsive smart platform that still uses a launcher bar along the bottom this time around. Featuring an interface that’s easy to navigate, the system is also smart in the way it learns from your viewing habits using a predictive algorithm to suggest content you’re likely to enjoy. Streaming services are what you’d expect from one of the best OLED smart TVs and you’re going to be connected to Netflix, Amazon Prime Video, and YouTube in a matter of minutes once the C8 is setup in your living room. The C8 is a an internet of things (IoT) ready smart TV and utilizes what LG call their ThinQ AI system, an artificial intelligence technology built into the latest version of WebOS devices which uses control protocols for hooking up to other smart devices in your smart home ecosystem. What this means (among other things) is that the C8 also features excellent voice control which utilizes natural language processing as well as offering full compatibility with both Amazon’s Alexa range of smart speakers and the Google Home system. The C8 is a smart TV that provides a superior picture and viewing experience at both HD/SDR as well as 4K/HDR and as with other OLED smart TV systems, specializes in delivering incredibly deep blacks and vibrant colors for crystal clear clarity. If you’re looking for the best OLED smart TV platform, it’s tough to find better than LG’s WebOS smart platform with its excellent choice of streaming services while the smart home functionality of the ThinQ system makes this the perfect set to slot straight into your smart home entertainment lineup. Killer looks and a wide ranging set of features to match, make this one of the top smart TVs for the money right now and due to this, we highly recommend it if you’re looking for the smart TV that does it all and looks effortlessly good in the process. 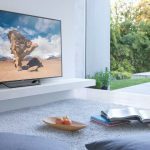 Sony have long been known to set the benchmark when it comes to high quality TV systems, and their latest range of Smart TVs are no different, providing superior visual quality alongside easy to use functionality, smart features, and a good level of compatibility with devices such as those within Amazon’s Alexa family. The picture offering from the A1 Bravia is excellent thanks to a combination of high-end display technology including a 4K Reality Pro processor for optimizing image quality, Sony’s 4K HDR X1 Extreme image engine, and a Triluminos display for delivering superior color. 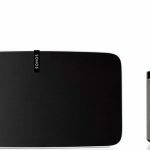 As with all of the devices in Sony’s smart TV range, the Bravia A1 OLED utilizes the Android TV smart TV platform to deliver its connected intelligence offering. This platform includes Chromecast built-in as standard for streaming (casting) from a connected and compatible mobile device, and the Bravia A1 is also compatible with Alexa for voice control. If you’re looking for one of the best Android TV enabled smart TVs, then the A1 Bravia is a great choice, succesfully combining awesome image and sound quality with a ton of smart features and Alexa compatibility out of the box. When it comes to finding the best smart TV for your requirements, you’re going to be faced with two major choices – LCD (conventional LED devices) or the newer OLED format. LCD Smart TVs offer exceptional value for money and in many ways deliver an incredible picture quality and overall smart viewing experience. 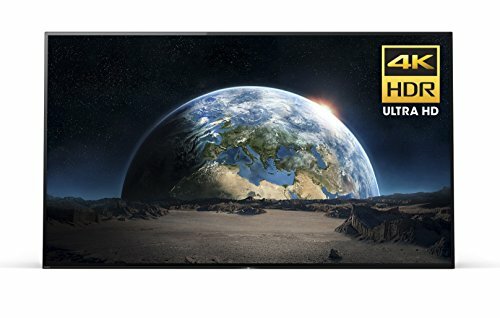 You’re going to notice a few differences between LCD smart TV systems and the newer OLED alternatives, although in many ways these are likely to be minor (less defined blacks on LCD devices for example) and for the money, the best LCD smart TVs we’ve outlined below represent excellent value for money. 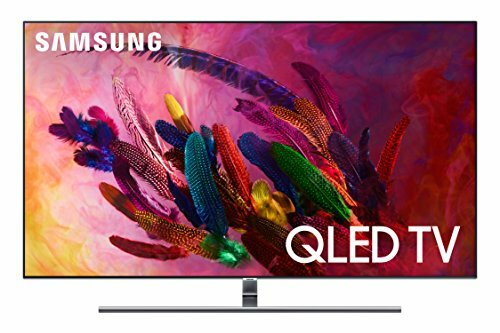 The Samsung Q7 is the front-runner smart TV within the company’s offering of connected televisions and brings a lot to the table when it comes to smart features and technical capability. Opting for what’s called QLED technology over the OLED favored by other brands, the Q7 utilizes an LCD screen for Samsung’s flagship device, and the results are certainly impressive when it comes to an ultra-sharp viewing experience. Featuring what Samsung calls ‘Ambient Mode’, the Q7 effortlessly switches to a low-power mode when not in use allowing it to blend with the room with photos, useful information, and even background music. The Q7 includes the latest version of Samsung’s SmartThings protocol which goes a long way to making connectivity to your smart home environment super straightforward . On top of this, the device includes a good range of apps included right out of the box with others available from the app store. It’s worth noting that as with other Samsung smart TVs, the Q7 features embedded ads along the main interface bar which can’t be permanently removed meaning you’re going to see them on and off during use. Whether you’re thinking of transitioning to a greener home ecosystem or simply looking for the best smart TV system from an environmental perspective, you may think that the eco-considerations stop with the total energy efficiency of the device when in use. However, LCD panels use the greenhouse gas, Nitrogen Trifluoride during the manufacturing process while OLEDs don’t require this when fabricated, making them a greener alternative up-front if this is something you’re actively thinking about when picking the best smart TV for the job.